Microsoft has confirmed at their Build 2015 developer conference that the launch of Windows 10 will be staggered across a range of devices and platforms. This means that when Windows 10 launches on desktops, tablets and laptops, don't expect to see Windows 10 for phones, Xbox, HoloLens or IoT launch at the same time. The staggered release schedule won't come as a surprise for those testing the various builds of Windows 10 through Microsoft's Insider program. Windows 10 for desktops is well ahead of Windows 10 for phones and IoT, both in features and stability, while Microsoft hasn't even released a Windows 10 preview for Xbox. Part of the reason for Windows 10 launching on desktops before phones was explained by Microsoft's Joe Belfiore at Build 2015. Windows 10 development ramped up shortly after the launch of Windows 8.1, but at the same time, the phone team was still working on finishing Windows Phone 8.1. This delayed the start of development of Windows 10 for phones. 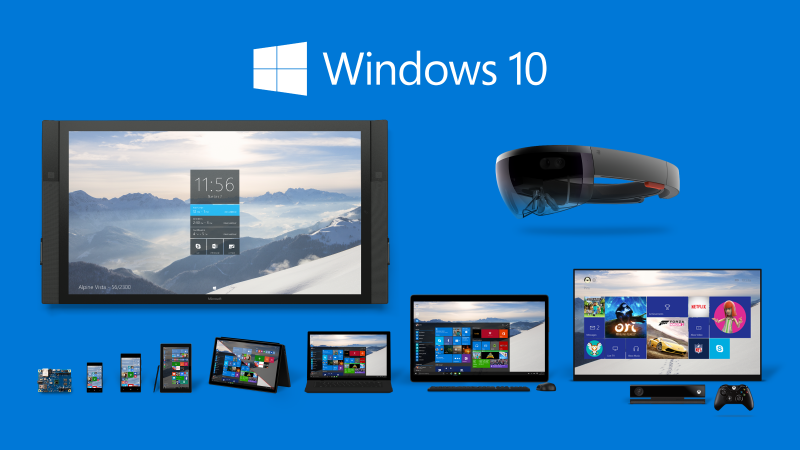 Microsoft also revealed that Windows 10 won't launch with every feature they've announced so far. As every app included with Windows 10 will be able to be updated through the Windows Store, some features will be added post-launch, such as Extensions for the company's new Edge browser. There is still no word on exactly when Windows 10 will launch, or just how far behind the builds for phones, Xbox and IoT are. Microsoft did confirm that HoloLens will not launch alongside Windows 10, but again, an exact release date was not revealed.